New research from the Center for Surgery and Public Health (CSPH) at Brigham and Women's Hospital found that for 3 of 5 end-of-life care intensity measures, physicians received significantly less intensive end-of-life care than the general population. The findings are published in the January 19, 2016 issue of JAMA, in a special themed issue focusing on end-of-life care. "Our analysis confirms what we've long speculated, which is that physicians, who are more likely to have first-hand experience with the burdens and futility of end-of-life care, are less likely to have surgery or be admitted to the ICU during the last six months of life, or to die in the hospital," explained Joel Weissman, PhD, deputy director and chief scientific officer at CSPH and professor of health policy at Harvard Medical School, who wrote the letter along with colleagues at Mayo Clinic and the Center for Research on End-of Life Care at Weill Cornell Medicine. "This information is extremely relevant to what is happening in the health field, especially now that Medicare has agreed to compensate doctors for the time they spend counseling patients about end-of-life care decisions," he added. "Patients often ask their doctors what they would do or what they would choose for their own family members," said Zara Cooper, MD, MSc, a trauma surgeon, CSPH faculty member, and co-author of the letter. "This research could have a significant impact on clinical practice, especially in the way that health care professionals communicate with patients and family members about end-of-life care options." The analysis included non-health maintenance organization Medicare beneficiaries aged 65 years or older who died between 2004 and 2011 in Massachusetts, Michigan, Utah, and Vermont, and was based on availability of electronic death records and ability to link to Medicare. Researchers used data from these records to look at 5 validated measures of end-of-life care intensity during the last 6 months of life: surgery, hospice care, intensive care unit (ICU) admission, death in the hospital, and expenditures. They then compared these measures between physicians and the general population (excluding other health care workers and lawyers), physicians vs. lawyers, who are presumed to be socioeconomically and educationally similar, and lawyers vs. the general population. There were 2,396 deceased physicians, 2,081 lawyers, and 666,579 people included in the analysis. Overall, physicians were less likely to die in a hospital compared with the general population (27.9 percent vs. 32 percent, respectively), less likely to have surgery (25.1 percent vs. 27.4 percent), and less likely to be admitted to the ICU (25.8 percent vs. 27.6 percent). Physicians were less likely to die in a hospital compared to lawyers (27.9 percent vs. 32.7 percent, respectively), but did not differ significantly in other measures. 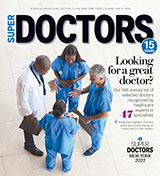 "These results suggest two key points: When doctors themselves are facing death, they avoid intensive medical care, which we can assume is due to their knowledge of just how violent and futile those efforts typically are; and doctors and lawyers have the resources to enable them to die at home, which suggests that financial concerns and lack of caregiver availability may be barriers to dying at home for less educated and affluent patients," said Holly G. Prigerson, PhD, senior author and co-director of the Center for Research on End-of-Life Care at Weill Cornell Medicine. "The findings provide a form of doctor testimonial recommending less aggressive end-of-life care and highlight the need for economic and human resources to support home deaths." Investigators note that additional research is needed to explore how complex decision-making processes and satisfaction with end-of-life care are related to these findings, and to see if the results found in this analysis will hold true in other states, once data becomes available.